The Applied Neuromechanics Laboratory (Hass Lab) is an interdisciplinary basic and rehabilitation focused laboratory involved in the study of walking and balance problems in individuals with Movement Disorders. Dr. Hass has partnered with the Center for Movement Disorders and Neurorehabilitation so that gait and balance assessments are integrated into our comprehensive treatment and evaluation practices. Current investigations are centered on evaluating the ability of exercise and novelrehabilitation instruments to improve gait and balance function, enhancing the effectiveness of deep brain stimulation for gait and balance, and tracking disease related deficits in balance and walking abilities. Delineating mechanisms of neuromechanical control governing locomotor and postural function. A hallmark of our research has been the interdisciplinary nature of the projects, which bridgebiomechanics, neuroscience, and rehabilitation. Thus, many of our research projects arecollaborations among researchers in health and science professions; reaching acrossseveral University of Florida colleges (e.g., Public Health and Health Professions, Medicine,and Liberal Arts and Sciences) and across institutions (e.g., Columbia University, Cleveland Clinic). 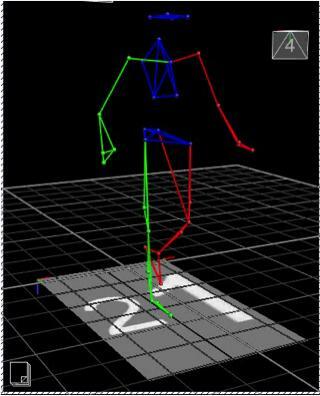 We use state of the art motion capture technologies and biomechanical equipment to improve our understanding of walking and balance function. Find out more about the Department of Applied Physiology and Kinesiology. Find out more about our other Research efforts.